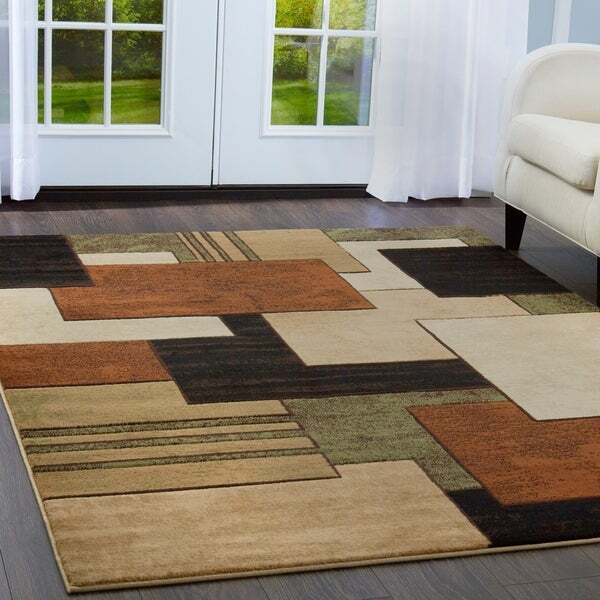 With plush pile and durable construction, this downtown rug will be sure to brighten the room it adorns. The hand carved technique used will add texture and detail to this geometric style area rug. Beautiful rug. Colors are better than picture. Strongly recommend. The rug really looks great. The colors are bright. Very pleased with purchase. I bought this to add some color to the living room but was not happy with the colors. It was not vibrant like the pictures and it seemed like they had tried to make areas of it look distressed but it just looked old and cheap. Although it's darker, overall, than I anticipated from the picture, I am still very satisfied with it. It is a soft, beautiful, well constructed rug. I don't need the non-slip pad underneath; it's not slipping on my wood floor. Love the color and seems to be a good rug. Perfect length. I like the colors and design on the rug. Looks nice in the office. What I was looking for. This is a very nice rug and my mom is enjoying it. Colors are bright. A little thinner than we expected but looks great. Looks great in my living room. Colors are beautiful. And it matches my 19' runner in the hall. Looks like the picture and is a great weight. Fits perfectly into the space I wanted to put it, colors are wonderful and very well made. Love it. "What is a bigger size for this one you have & how much it costs? " Please see ITEM# 16946751 for this item featured in a 7'10 X 10'6 dimension. Matches perfectly in my living room! Colors and style appropriate for my family room.